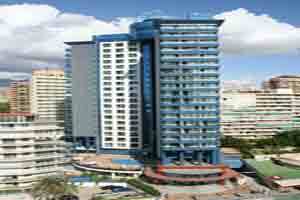 The Madeira Centro Hotel enjoys an excellent position, only a few minutes walk away from the Levante beach. Shops and restaurants can be found in the vicinity. Facilities at the Madeira Centro include 24 hour reception, cafeteria, buffet restaurant, television room, 1 external pool, 1 indoor pool, sauna & gymnasium.